We’re nearly in the last month of 2019. Wow. I’m just looking back at this year and feeling so overwhelmed with all of the changes I’ve been through. More than any year in my life – this one has been full of transformation. 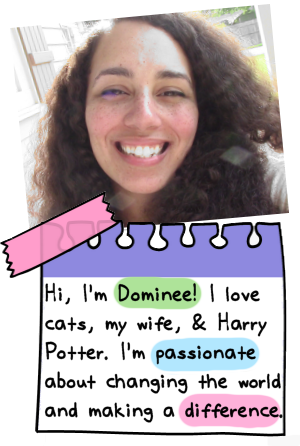 I think back to who I was in January and I am amazed. 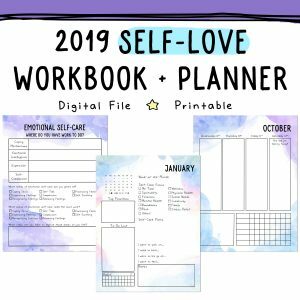 That’s one of the reasons that I’m very much looking forward to (and honestly terrified of) the first section in the 2019 Self-Love Workbook. What’s the biggest, scariest, thing you’re holding onto from 2018? 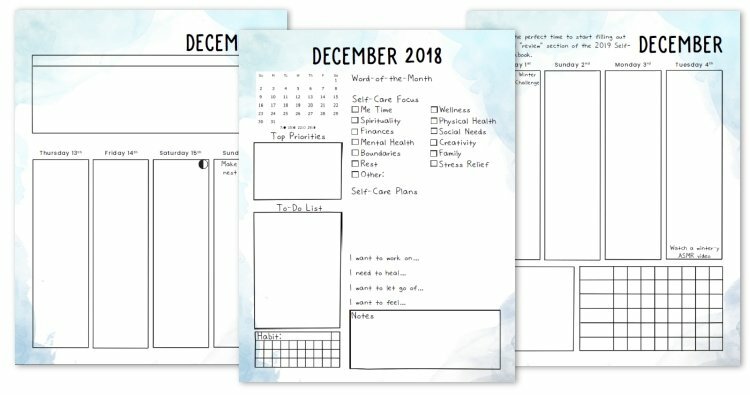 What issues, trauma, and pain did you experience in 2018? What situation caused the most growing pains for you? Those are just some of the questions that are in the workbook and I know that writing it out will help me let go and process. And there’s a lot to let go and process. 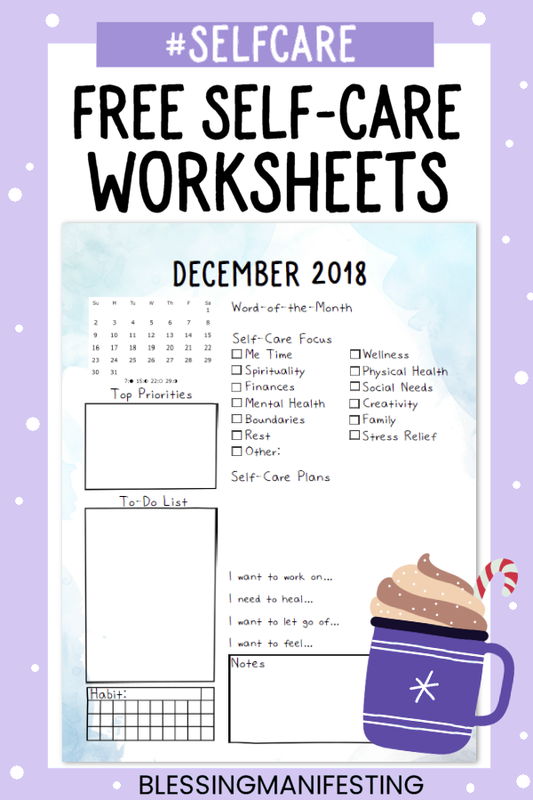 If you’re still on the fence about the worksheet, here are some free pages for December that you can try out. 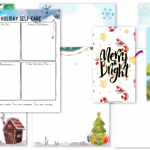 If you’re stressing about the holidays, you definitely want to check out the Holiday Self-Care worksheets or the fre Holiday Self-Care Challenge. 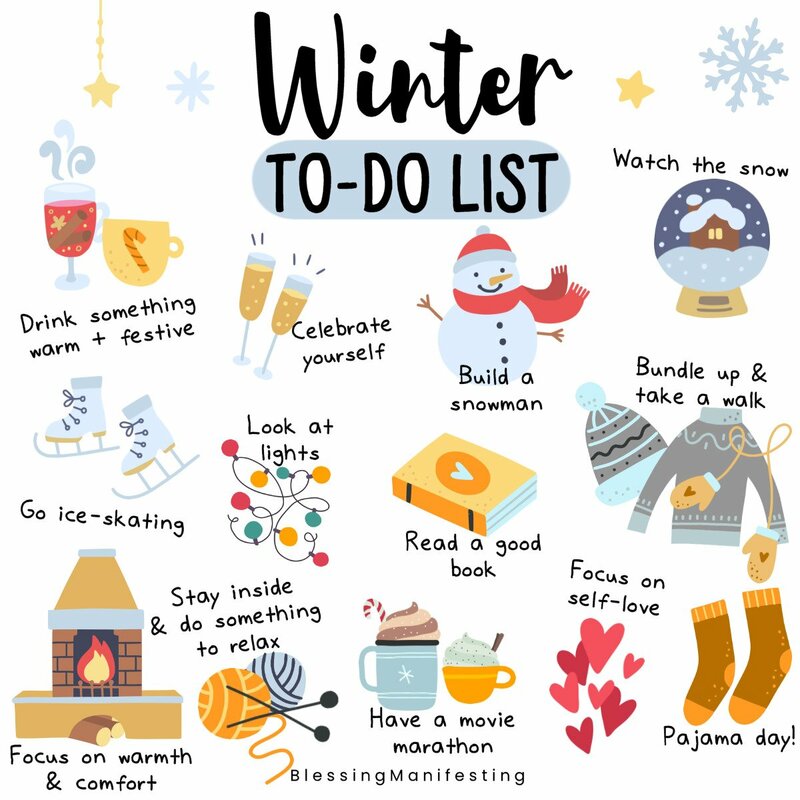 I also created this cute little winter to-do list!